Brand new to the Water Wars range, Pirate Themed Water Wars features sails and pirate flags and are ready for battle. The new range comes with the flexibility for other themes and colours. You can customise your Water Wars to match the feel of your park. 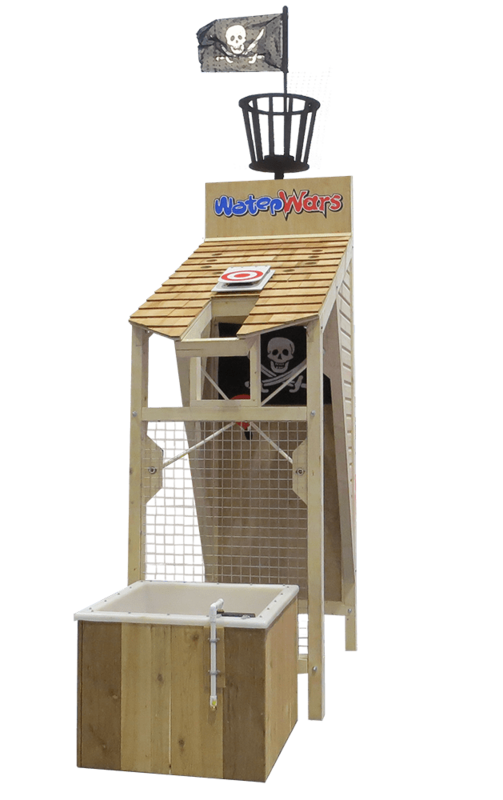 Water Wars brings a new level to water fights with the famous Water Wars battle station system. Participants launch water balloons to opposing battle stations using the Water Wars catapults. 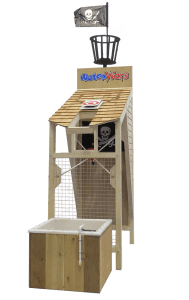 Installed in over 700 venues worldwide, the Water Wars range have enhanced a diverse assortment of attractions, proving popular in small family-owned centres and many of the world’s largest amusement parks. Pirate Themed Water Wars are constructed locally in Leicester and are permanently sited.